It hasn’t been a bad year for the heavyweight division. It may lack the quality, intensity, and allure of decades gone by, but much like the nineties era, there are big personalities, massive punchers and a proliferation in fighters interested in beating one another. There are plenty of nearly-men. Dillian Whyte, Luis Ortiz, Alexander Povetkin, Hughie Fury all sit in and around the top rankings. But three names dominate the current scene in a similar fashion to the Lewis-Holyfield-Tyson triangle, and on December 1st, two of them finally come face-to-face: Deontay Wilder and Tyson Fury. The seed for this fight was planted over two and a half years ago. Fury, having just dethroned Wladimir Klitschko to become unified WBA Super, WBO and IBF champion of the world, lept into the ring for a face-off with Wilder immediately after the Texan’s third defence of his prized WBC title – the missing piece to Fury’s undisputed crown. Fury persisted with his taunting of Wilder for some time, until his struggles with mental health and banned substances of the class-a variety brought an abrupt and sad end to his reign at the top. So where did Fury’s belts end up? Brace yourselves. The IBF stripped Fury of their title after he opted for the rematch with Wladimir rather than a mandatory defence against Vyacheslav Glazkov. American Charles Martin fought Glazkov for the vacant title in a mess of a fight which ended in the third due to injury. 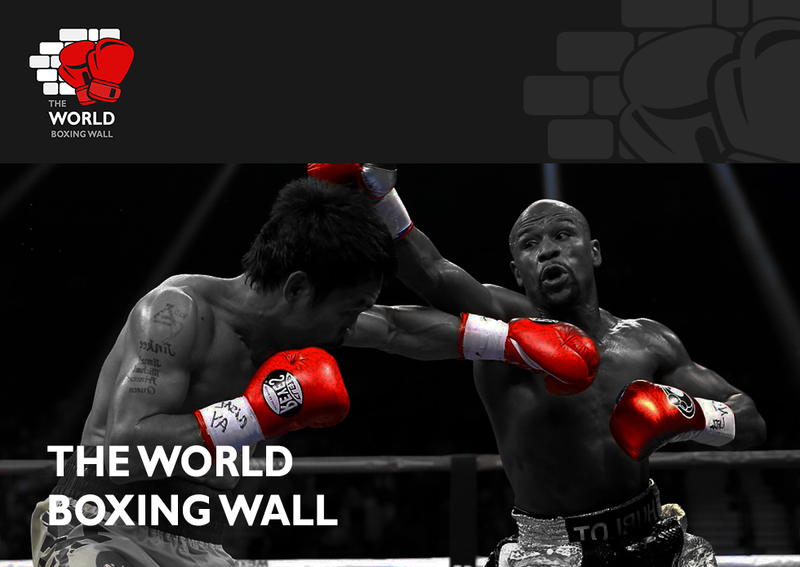 Martin’s first defence of the belt would be his last – he was blown away with ease by an Olympic Gold medallist – the young, hungry giant and third pugilist in this fascinating heavyweight trio – Anthony Joshua. The WBO originally planned for a four-man tournament to determine their new champion after a Fury/Wlad rematch fell through. Their number one contender, New Zealander Joseph Parker, had other ideas, however, with number two rank, the fallen Klitschko, the logical option. Wlad had his eyes set on prizes elsewhere, so in stepped number three rank, Andy Ruiz. Parker won the belt via a majority decision. What Wlad had been eyeing was a combination of Anthony Joshua’s steady rise and the WBA crown. A string of boring politics, injuries and baffling delays prevented much happening until 2017 and Eddie Hearn, undoubtedly sensing a now or never scenario brewing (AJ had come under fire for a string of mediocre IBF defences, namely Eric Molina and Dominic Breazeale) delivered the blockbuster bout during the Spring of 2017. It was a night that defied expectations for British fight fans. 90,000 packed into Wembley to watch Joshua knockout Klitschko in the eleventh round, after being dropped himself in the sixth, to become the unified IBF and WBA Super world champion. Joseph Parker had defended his WBO strap against Hughie Fury in a dull, uninspiring battle – he had been originally slated to face David Haye who instead opted for a big money grudge match with Tony Bellew. AJ eventually muscled through Carlos Takam, and the stage was set for another box office unification in the UK. AJ and Parker clashed and not a minute too soon after various back and forth financial demands and issues with dates and stadiums. They met on the 31st of March this year in Cardiff, with an often tactical, edgy encounter forcing AJ to go the distance for the first time in his career, ultimately grabbing the judge’s decision and adding the WBO belt to his collection. Somewhere amongst all of that, Tyson Fury rose again. He sought support for his drug issues, shed an unimaginable amount of weight, regained his license and on May 20th, the lineal heavyweight champion of the world returned to the ring, albeit on an absolute circus of a night. Albanian Sefer Seferi was the sacrificial lamb for the ten-round contest. 66 pounds lighter than Fury, Seferi gave up in his corner after round four. Fury, who would have expected mass praise for his comeback was instead met with a wall of justified criticism – he fought a career cruiserweight, spent most of the fight showboating and even stopped at one point to observe a fracas in the crowd. The resurrection had a way to go. Frank Warren gave Fury a chief support slot on Carl Frampton’s Belfast card and this time Fury looked different. There was a purpose to his movement, notably improved footwork, and a more intense, concentrated performance. The fight went the full ten round distance which benefitted a rusty Fury. Warren and Fury had said they wanted three fights before 2019. Two down. Oh – remember Deontay Wilder? Wilder won his WBC belt in 2015. Much like AJ, he has come under deep scrutiny and heavy fire for his choice of defences, although twice he had been left with no choice after massive fights fell through due to opponents failing or missing drug tests. The consensus seems to be split between those who believe Wilder will knock Fury out, his unpredictability and substantial power too much for a smart fighter in Fury, and the others who believe Tyson can emulate that night in Germany, where he dumbfounded one of the all-time greats, delivering a masterclass in the process. Wilder’s style is often derided by British viewers as simply ‘windmilling’. He’ll use his massive frame to generate that Herculean power in his big, looping shots, and that will leave his body open. Just in the Luis Ortiz fight alone you can see how this technique works, but also creates massive risks. Fury on the other hand fights far less aggressively, picking his spots only after careful planning and precise movement that frustrates his opponents. He’ll be on the move constantly, trying to force Wilder into a rash shot, opening him up for in-and-out attacks on the inside. Styles rarely come much dissimilar. The build-up has already been a spectacle. Pushing, shoving, people falling off of chairs, singing and accusations of staged pantomime-esque dramas have accelerated the rivalry into a higher gear, and it shows no signs of slowing down. Where this leaves Anthony Joshua is unclear. 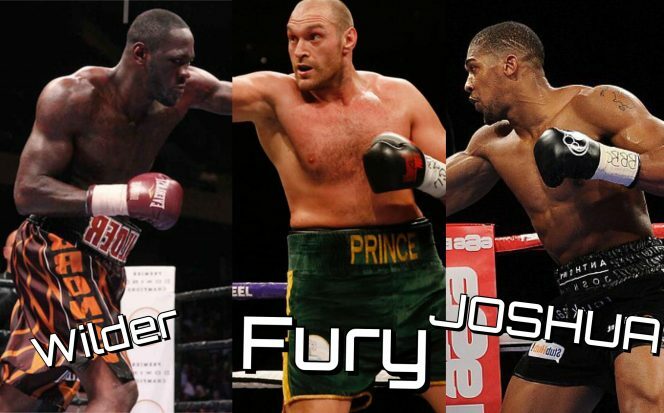 Before Fury got his act together, talks between Wilder and AJ’s camps had been disastrous, public and often nauseating, resulting in AJ taking his mandatory against one of the divisions most feared men, Alexander Povetkin. Even at the time of writing, Eddie Hearn is still biting away at Wilder’s team, having us believe he is trying to negotiate a showdown for next year, should Wilder beat Fury. For now, unfortunately, it would seem Joshua-Wilder is the super fight heading the way of Lewis-Bowe – the division’s two biggest stars destined not to square-off due to an exasperating cocktail of promoter politics and sanctioning body soap operas. On this rare occasion, it shouldn’t be the fighters charged with the crime of not relishing the opportunity to face one another, and in an ideal world, the Summer of 2019 will be giving us a clash that results in the crowning of an undisputed world heavyweight champion.